On 10 July, two police were killed while breaking up a protest in the center of Ganja. Up to 200 people gathered in the center of Azerbaijan's second largest city yesterday in the wake of the attack last week on Elmar Valiyev, the mayor of Ganja. The protestors reportedly called on law enforcement to investigate not only the assassination attempt against Valiyev, but also Valiyev's activities as mayor. Authorities claim that the protesters are radical Islamists who were disrupting public order. In clashes between the police and protestors, police Colonel Ilgar Balakishiyev and Lieutenant-Colonel Samad Abbasov were killed. Two Ganja residents, Rashad Boyukkishiyev and Farrukh Gasimov, are wanted by police in connection with the deaths. Rashad Boyukkishiyev (b. 1988) and Farrukh Gasimov (b. 1988) are wanted in connection with the deaths of two police. On 3 July, the mayor of Ganja, Elmar Valiyev, and his bodyguard, Gasim Ashbazov, were shot in the center of the city. Yunis Safarov, a Russian citizen but a resident of Ganja, was detained at the scene. In a joint statement released today by the Chief Prosecutor's Office, the Ministry of Internal Affairs, and the State Security Service, Safarov is accused of carrying out the attack as part of a plan to create an Islamic state in Azerbaijan ruled by sharia law. On 4 July, photos of Safarov were circulated on social media in which he seemed to have been badly beaten, presumably by the police. 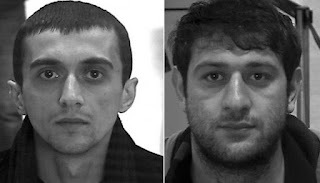 The victims, Elmar Valiyev and his bodyguard, Gasim Ashbazov, were both reported to have survived the attack.